Photo of the Rogue River at a favorite Lunker Location. The Rogue is well known for being one of the best Salmon and Steelhead fisheries in the United States. With both Summer and winter-run Chinook, Winter Coho and summer and winter run Steelhead it is hard to go wrong fishing the Rogue. Also known for fish of above average size some anglers have compared this Lunker location to other famous fisheries such as the Kenia River in Alaska. 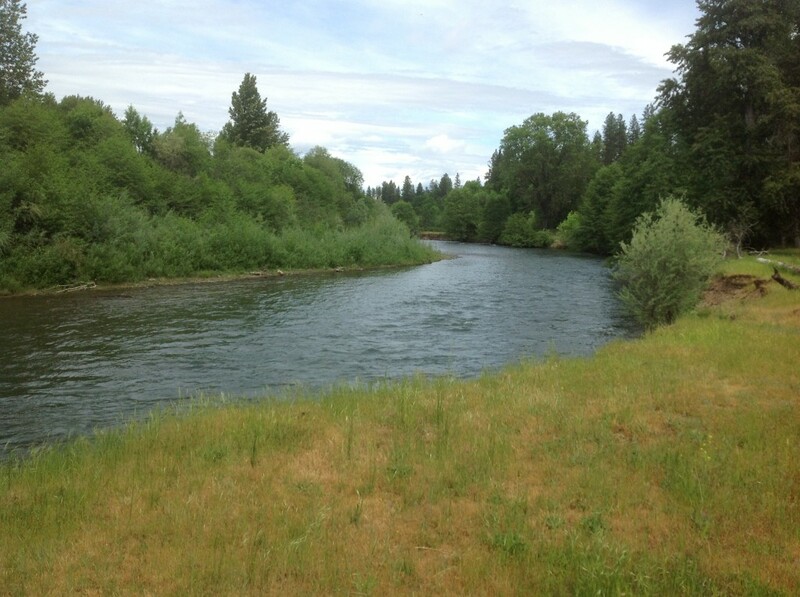 For Rogue River, fishing access see our Rogue River fishing access map below. The Rogue River offers year round opportunities! This fishery generally allows 5 Jack Salmon per day with 2-3 adult fish allowed depending on the season. Rogue River Water Levels are provided by the United States Geological Survey data system.